Week two-forty-six of Operation Graphite – theme: Sewer Monster. There’s a monster… in a sewer. Mission accomplished. The theme selected for week two-forty-six of Operation Graphite will be: Sewer Monster. Now I suppose you could lump the Teenage Mutant Ninja Turtles into this category, and perhaps even Vincent from the 80’s, Beauty and the Beast TV series would work. The idea was more for C.H.U.D. 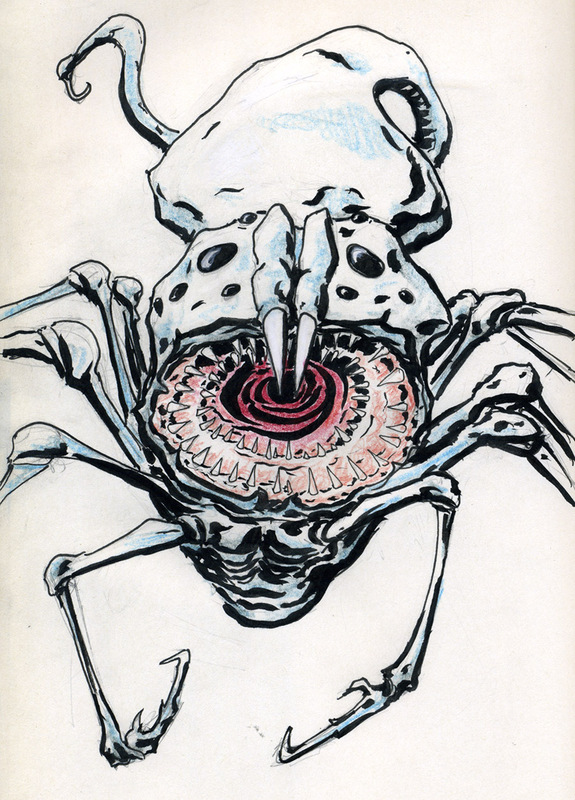 like grotesque subterranean creatures, but open themes open up the possibilities. What’s crawling around in the pipes under your street? 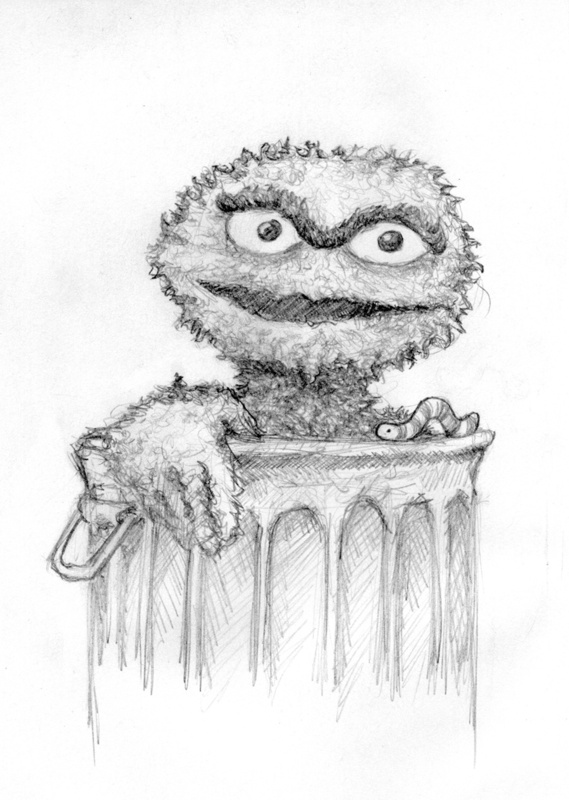 Please submit any drawing or painting, using traditional or digital media, that fits the theme: Sewer Monster. Week two-thirty-eight of Operation Graphite – theme: Slimy. Here is a disturbing concept whose execution was a little rushed. Typically I am pretty excited about any theme where monsters are in play, yet this week has left me feeling a little tapped. A tall slimy spider with a creepy long neck and a horrifying baby face. Week two-thirty-three of Operation Graphite – theme: The Monster Squad. In a summer of lack luster sequels and reboots, and even another Squad movie, old movies and new TV shows that have the feel of old movies are extraordinarily popular. Not to completely rag on all this summers movies, Civil War was pretty good, and I just saw Kubo and the Two Strings, and that was really fun. There were’t many other films I even got out to see. It’s not as easy to get out and see a movie these days, so when a flood of weak reviews come in, I lose much of my excitement. We don’t need reboots of movies from the 80’s, we need new movies that feel as if they came from the 80’s. Is that a strait up remake. is that dissecting multiple films and creating a nostalgic Frankenstein, or is it about capturing the fun, pacing and innovation of some of those early film? Week two-twenty-two of Operation Graphite – theme: Monster. We’re are back from an unplanned absence. The Deer theme might come back again, but this week was all about monsters. I like monsters a lot, and pretty much anything similar to a monster – aliens, mutants or mythological chimera. Monsters make good bad guys, but monsters also make great good guys. Thats kinda why I’ve always loved Hellboy, Chewbacca and Toothless. But besides a good vs. bad dualism, some monsters just, are. Some monsters, like Kraken or Xenomorphs, just do what they need to do to survive. They don’t think or feel, they just endure and multiply. The theme for week two-twenty-two of Operation Graphite will be: Monster. I’m out of ideas again, but I always like drawing monsters, so yea! more monsters. Please submit any drawing or painting, using traditional or digital media, that fits the theme: Monster. Week one-nintey-one of Operation Graphite – theme: Frankenstein’s Monster. Thus ends the best month on the calendar. I can tell you my son will certainly miss seeing skulls and jack-o-lantern decorations everywhere. He’s not quite old enough to understand that it isn’t a normal thing to have macabre decorations out all the time; except maybe for our house. I don’t think he will get the same kick out of the Christmas decorations that are already starting to come out. For the last Shocktober Grey Op, we cover a monster with no name, but often gets named after his creator. Perhaps that isn’t entirely false. Perhaps Frankenstein Jr. would be appropriate? The theme selected for week one-eighty-seven of Operation Graphite will be: Demon. In a few days, October, Shocktober, Inktober, Rocktober, or whatever tober you prefer will have arrived. Fall has fell, and the pumpkin spice is permeating every pore in my body as I prepare for another Halloween. To kick off the month of macabre, we embrace our demonic side. 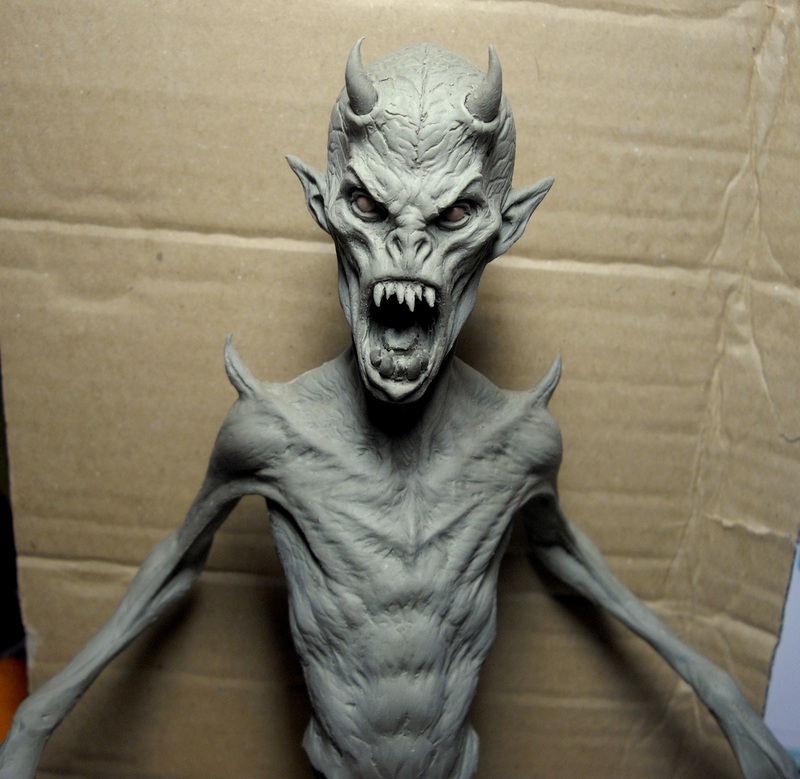 Demons sort of like monsters, but their physical appearance is more of a manifestation of their dark souls. We imagine demons as devils with their formless natutre allowing them to seise control of another person and possess and torment them. Really, it is all about blaming some invisible entity for mental illnesses that were not understood in previous centuries. However, drawing misdiagnosed mental ailments or formless creatures wouldn’t be as fun, so for the sake of this Grey Op, we will be pretty much drawing monsters… but demonic monsters. Week one-thirty-five of Operation Graphite – theme: Monster. We imagine monsters as grotesque abominations, as hideous beasts, but sometimes the truly monstrous hides behind a facade of charm and beauty. The ugliest creatures hide in the deepest depths of the ocean, away from the repulsion of the land walkers, but are they truly the things we should fear? Is it required that a monster be some chimera that only Bellerophon could contend with, or could the real monsters be something much different?